This is Cinderella as you have never seen it before. The story of Walt Disney’s “Cinderella” is different from its predecessor. Directed by award winning actor, Kenneth Branagh, This version follows the fortunes of young Ella (Lily James). 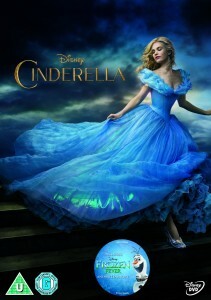 After Ella’s father unexpectedly passes away, she finds herself at the mercy of a jealous and cruel new Stepmother (Cate Blanchett) and her ugly-in-nature daughters Anastasia (Holliday Grainger) and Drisella (Sophie McShera), and is forced to become their servant, disrespected, covered in ashes and spitefully renamed Cinderella. Ella’s fortunes seem to turn for the better in the form of a dashing stranger named Kit aka The Prince (Richard Madden) and a quirky fairy godmother, (brilliantly played by Helena Bonham Carter) that will change Ella’s life for the better. Overall a fantastic film that can be enjoyed by all ages.